We love bringing you the best baked goods and confectionery in the world. 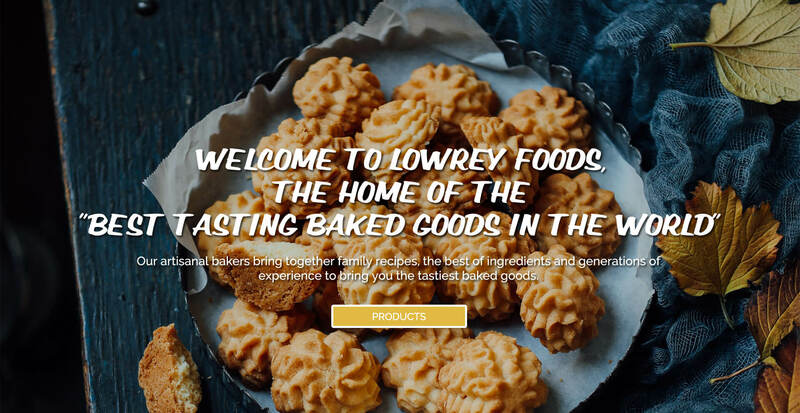 Made with the best ingredients from New Zealand and around the world, all Lowrey products are free from any artificial flavourings, colourings or preservatives. 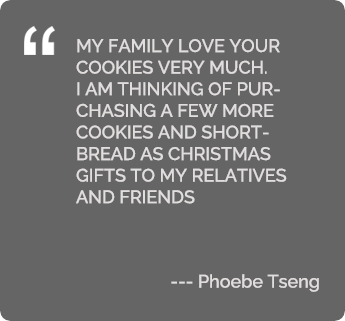 Our artisanal bakers and confectionaries our proud to bring you our family recipes made with love and passion. From our family, to yours - Lowrey Foods. Influenced by classical European Nougats. With the addition of New Zealand Dairy Product Lowrey Nougat is full and decadent with a large creamy finish. Chocked full of fresh roasted nuts our nougat will surprise and delight true confectionery lovers. Two enjoyable flavours, Peanut or Almond. Handcrafted Shortbread Biscuit, just like Mother used to make. Our bakers have reprised an old family recipe, using skilled honed over generations and quality ingredients have crafted a light luxuriant Shortbread taste which send consumers back to their childhood and sunny days spent in their grandmothers kitchen. Three classical flavours, Original, Chocolate and Cranberry. 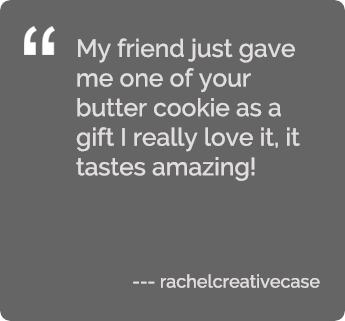 We believe that our Butter Cookies are the "best tasting Butter Cookies in the world." Made with four simple ingredients one of which is New Zealand cultured organic butter, our artisanal bakers have crafted a cookie which is indulgent and luxuriant - appealing to those who enjoy the best in life. Three delicious flavours - Original, Coffee or Matcha. All our staff are proud of bring you the best products their skills can make, using methods handed down through the generations and recipes made from our family kitchen. 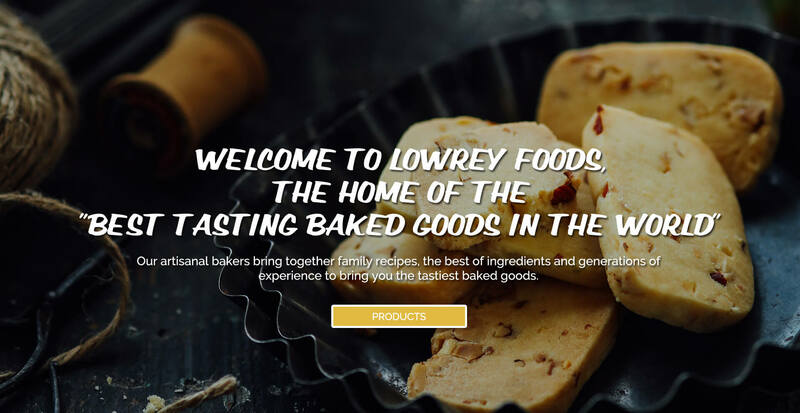 Our artisanal methods are brought together in modern facilities to reassure all that all Lowrey products are not just delicious, but, are safe to consume. 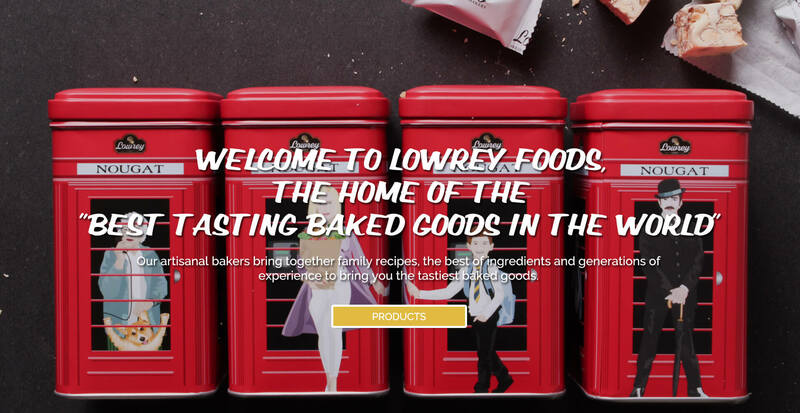 All our product are made using "tried and true" recipes made in the Lowrey kitchen by generations of the Lowrey family. These recipes are not only delicious but are unique to Lowrey products. Not only are our products free from any nasties we take care to use the best of ingredients available to us, we are proud to say that we use New Zealand organic cultured butter in our baked goods and confectionery. Family first and foremost, Lowrey products are made using age old family recipes and contain only the best natural ingredients. Where required we use organic cultured butter with no added artificial ingredients. Our artisanal craftsmen still make our products the old fashion way, with love and passion.